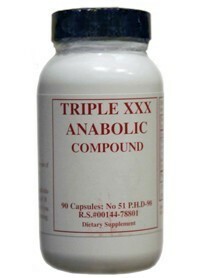 Increases Testosterone levels 3 ways. Testosterone is the most powerful anabolic muscle producing hormone found in the body. Great for mass, strength, speed, fat loss, and definition. Your body converts 1-Androsterone/1-Dehydroepiandrosterone into 1-Ad then futher to 1-Testosterone. 1-Testosterone is 2-7 times as anabolic as testosterone.